Cheng: As we sat down to look at those classes and what changes we wanted to make, the team really believes in focusing on the fantasy. 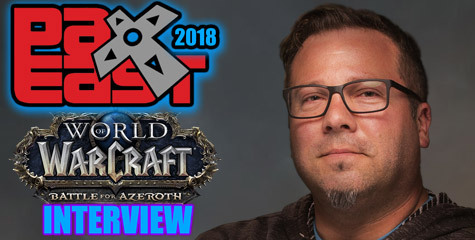 What that means is that every class represents a classical strong fantasy archetype, and any changes that we make should play into that fantasy and reinforce it . 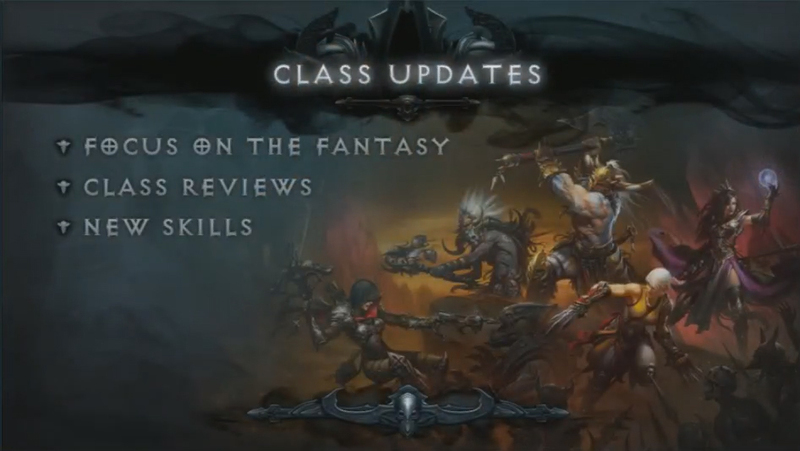 We went over all of the existing skills and runes, as well as every class in “Reaper of Souls” is going to get a new skills. 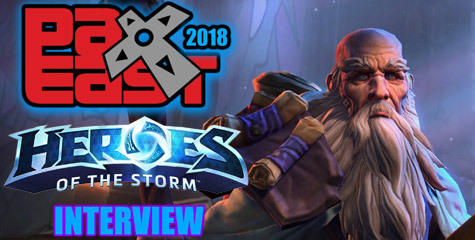 I am gonna take you through all five classes, and we will highlight what their new skills are going to be. 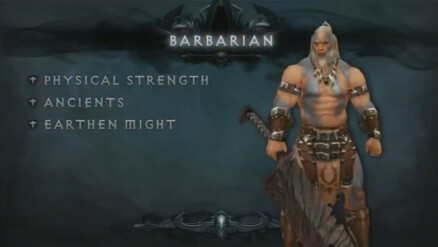 Let’s go ahead and get started with my favorite class “The Barbarian”. Cheng: The Barbarian exhibits physical strength. Obviously, unlike The Crusader who is heavily armored, “The Barbarian” focuses on his connection to the ancients, his physical strength. We have a theme of earth and might coming through. Earth and might refers to his ability to use boulders, or rocks, or cause seismic activity. This is exhibiting skills like seismic slam and earthquake. Of course, we feel some skills, those skills seismic, earthquake weren’t quite performing as well as they were, so they are getting some huge buffs in “Reaper of Souls”. And his new skill is called Avalanche. Avalanche will allow him to let out a huge roar and call down a huge pile of rock and debris to fall from above. Here is the video of what that looks like. Avalanche is currently on a 30 sec cool down and internal build, but the way we have it setup is that more fury that you spend it reduces the cooldown on the skill. So if you have a build that spends a lot of fury, you can actually use avalanche more often. 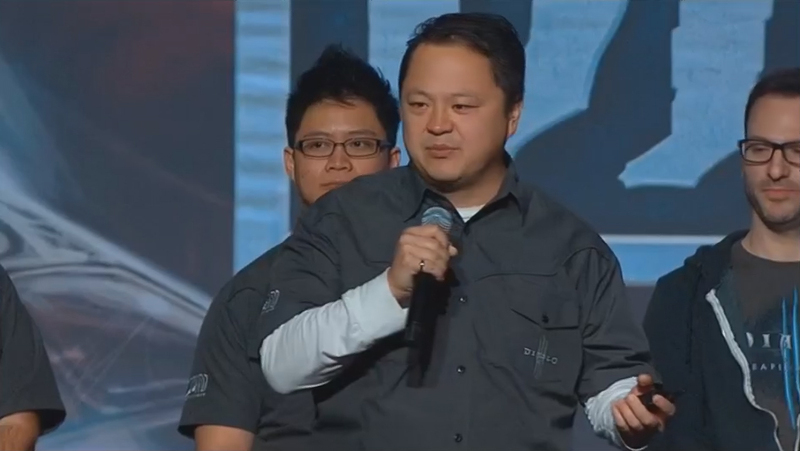 Cheng: Up next is my favorite class: “The Wizard”. The Wizard is a powerful range caster. We all know this is a really strong fantasy archetype, that’s been around for years. Decades. 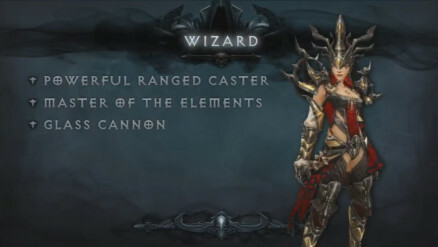 A lot of people wanna to play “The Wizard” as glass cannon. Clearly an elementalist. You probably know in the live game there are elements like frost, and lighting, and fire, and arcane. 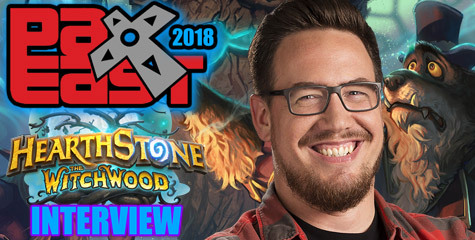 Off course arcane gets a little more attention and fire lighting and cold could serve to be played up a little bit more. And that’s one of our focuses for “The Wizard” in the “Reaper of Souls”. If you want to play a fire, frost or lighting elementalist wizard… now you can. 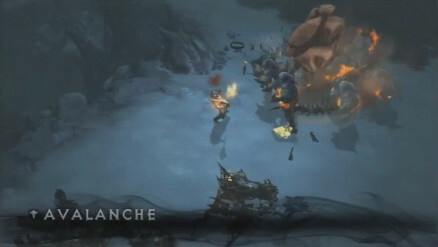 And here is what it looks like in Diablo III. But as promised every class is also getting a new skill. And The Wizard’s new skill is called: Blackhole. Blackhole pulls in all the monsters, crowd controls (CCs) them, and deals a huge amount of damage in that targeted area. This really allows you to play up that fantasy of being a glass cannon. You can use crowd control skills and still dish out a lot of damage. And nothing sets up the perfect meteor better than Blackhole. Yeah!